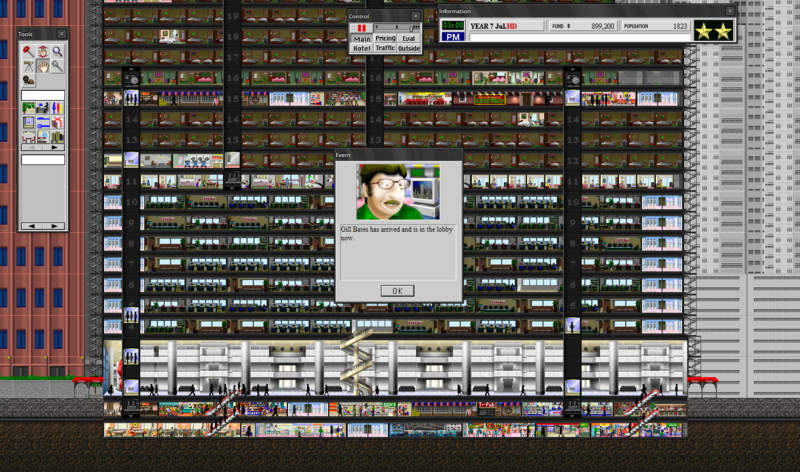 The following are some random pictures from Yoot Tower that I decided to capture. Most are very strange. Pine level is the new gold standard. The level below pine was bamboo level. The first level was a flower. 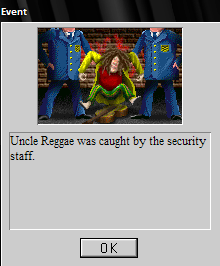 Looks like Uncle Reggae was shot by the Yoot Tower security force. The best part was that he was "found" repeatedly. Also, the structure turned into some sort of demon cult looking assembly. I wouldn't want to visit that waterfall. I decided to not write a Yoot Tower Guide. Most of the information for the Sim Tower Guide is applicable for the Tokyo level with the only new thing to worry about being the extra costs of maintenance. Just don't build everything because you have the option. Before you build "building facilities", makes sure you check the maintenance cost. Don't build the subway or power facilities, you have been warned. Here's a link for anyone who wants to download this. If someone could please upload it somewhere for everyone that would be awesome. Thanks for your comments Himanshu, it's always good to get feedback. 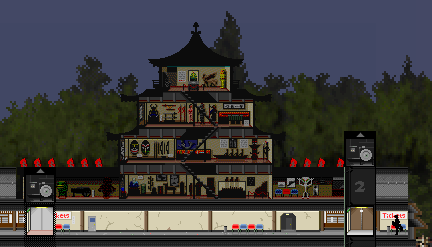 Yoot Tower is great, everyone should play if they can find it.